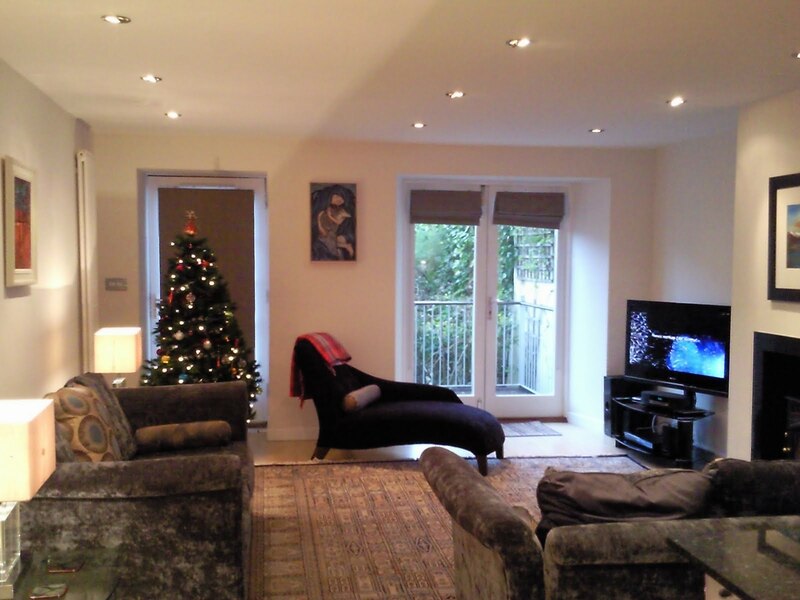 Edinburgh luxury 3 bedroom holiday rental apartment in December. January is nearly over and we've actually had quite a few Edinburgh last minute bookings for this month. February is booking up too, we still have the mid term break available at our Edinburgh 4 bedroom house, and there's good availability at our Royal Mile Apartment, the Quartermile Apartment holiday rental is pretty much booked for February. Christmas and New year were fully booked and we took a few photos of the villa and the Queens apartment decorated for the winter holidays as seen above.